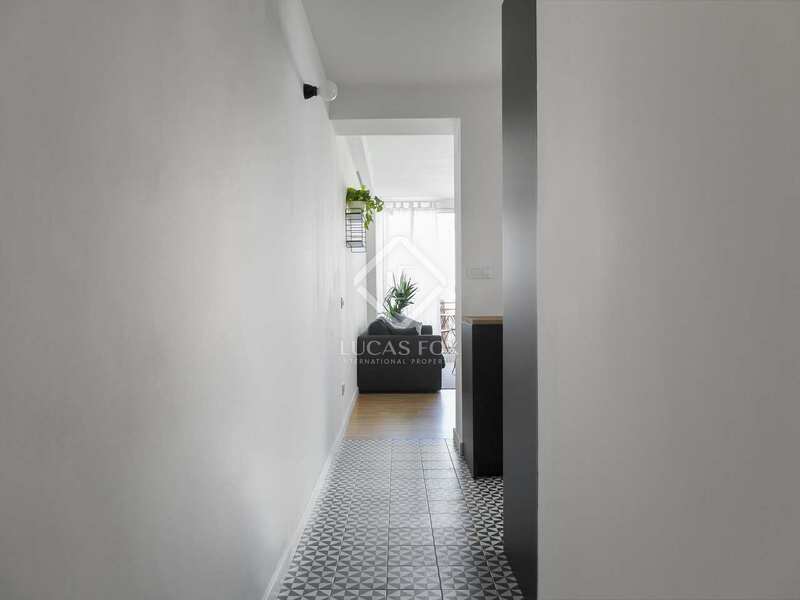 Magnificent renovated and furnished apartment with a terrace for sale in one of Barcelona's most fashionable neighbourhoods. 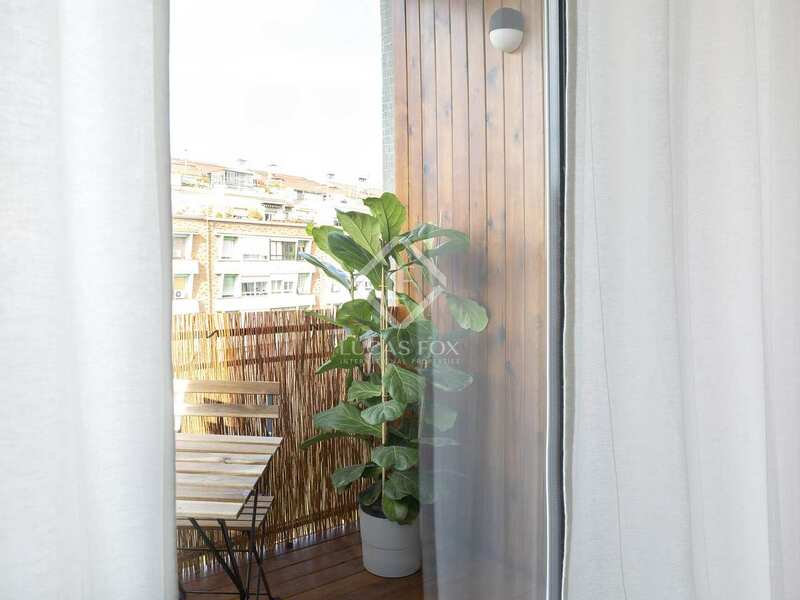 This bright apartment, furnished and newly renovated with a modern and elegant style, is on the seventh floor of a perfectly maintained building with a large lobby, two lifts and video intercom system. 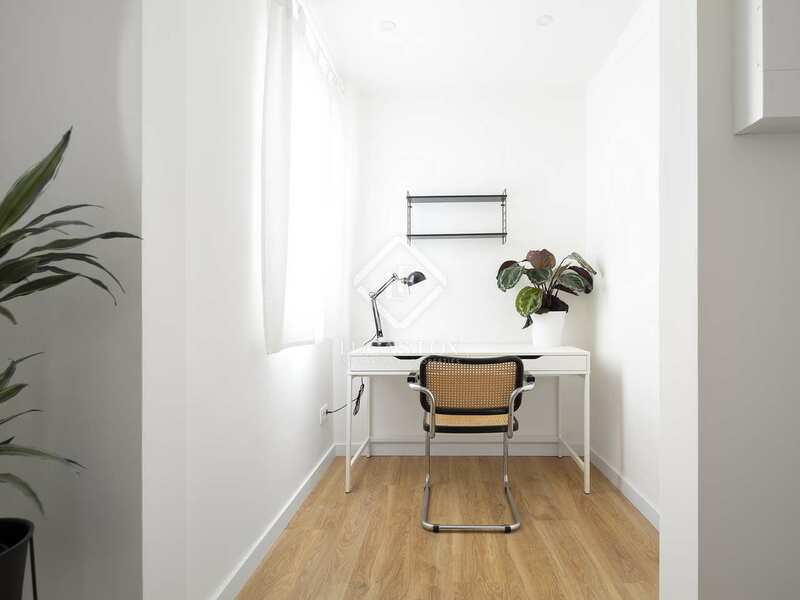 We are welcomed into the apartment by an entrance hall that leads to an open study, a bathroom and a double bedroom. 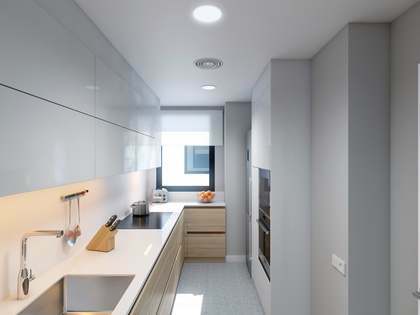 The beautiful living space is formed of the open kitchen and living-dining room with access to a wooden terrace, from which city views can be enjoyed. 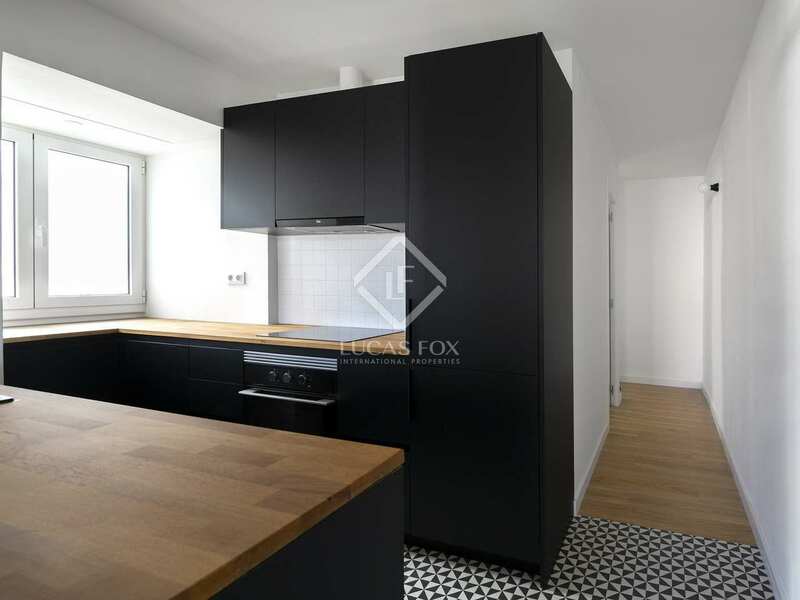 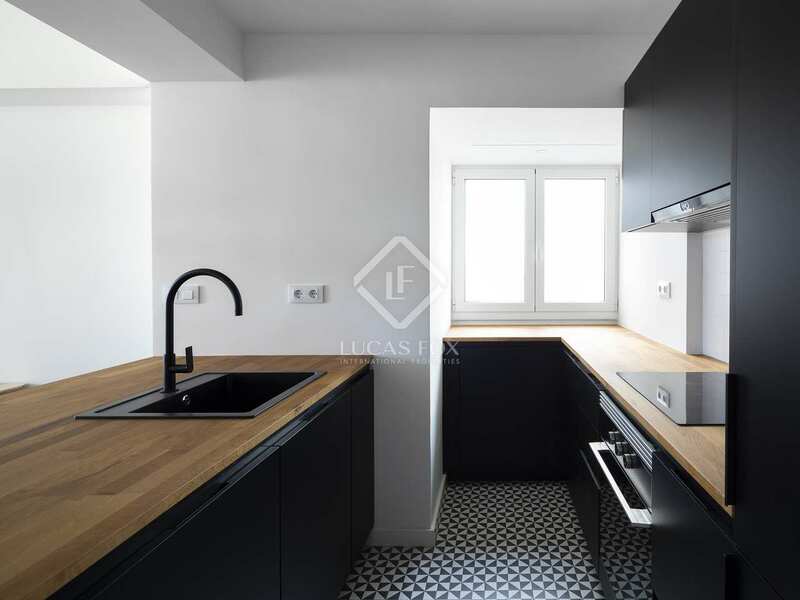 The kitchen, in elegant black tones and with wooden countertops, is equipped with a dishwasher, built-in washing machine and fridge, oven, extractor hood and induction hob. 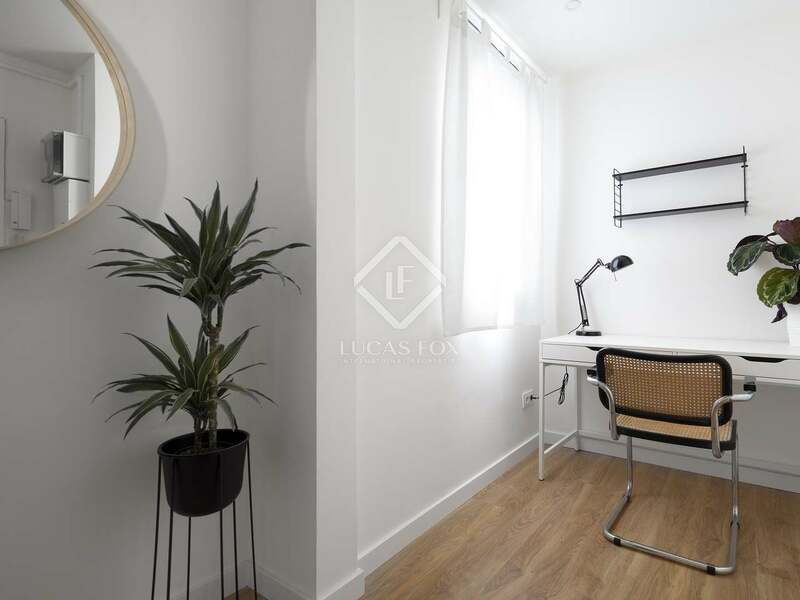 To one side of the living room we find the night area where the main double bedroom, which has fitted wardrobes and complete bathroom, is located along with a single bedroom also with fitted wardrobes. 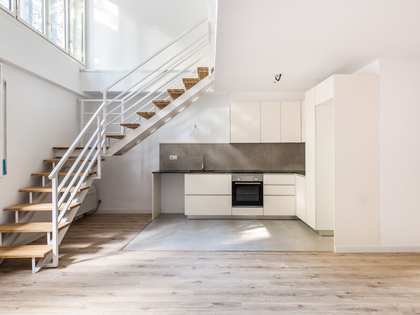 All spaces have windows and lots of natural light, whether they are exterior or interior facing. 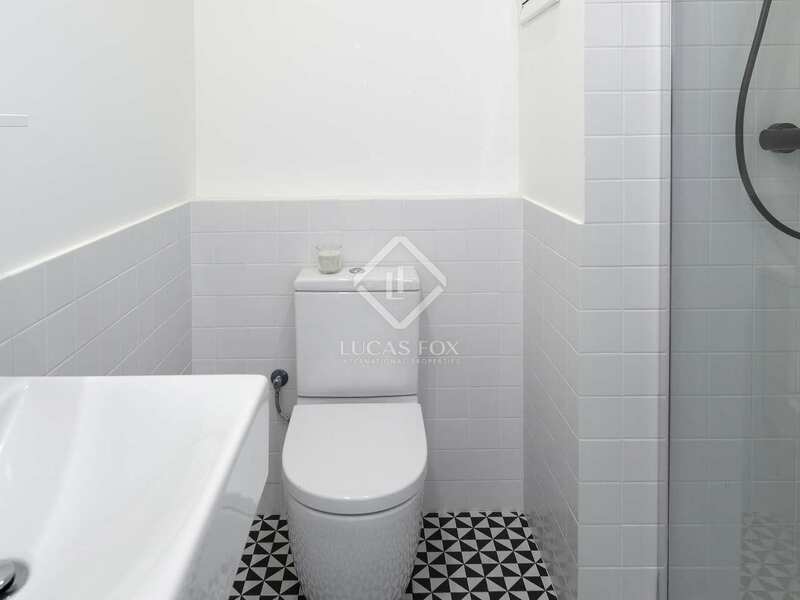 The apartment boasts wooden flooring throughout except for in the bathroom and kitchen, which have stoneware floors with a geometric pattern. The water, light and sanitation facilities are new and there is a cold / hot air conditioning system in the living room and in the two main bedrooms plus an electric water heater. 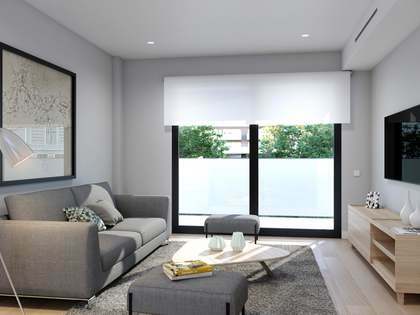 Each room features new aluminium joinery and and all the bedrooms have blinds. 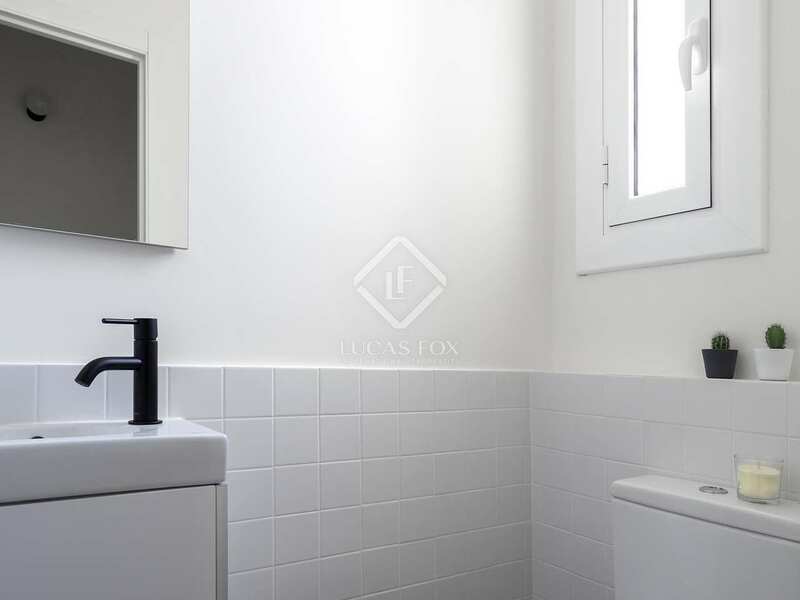 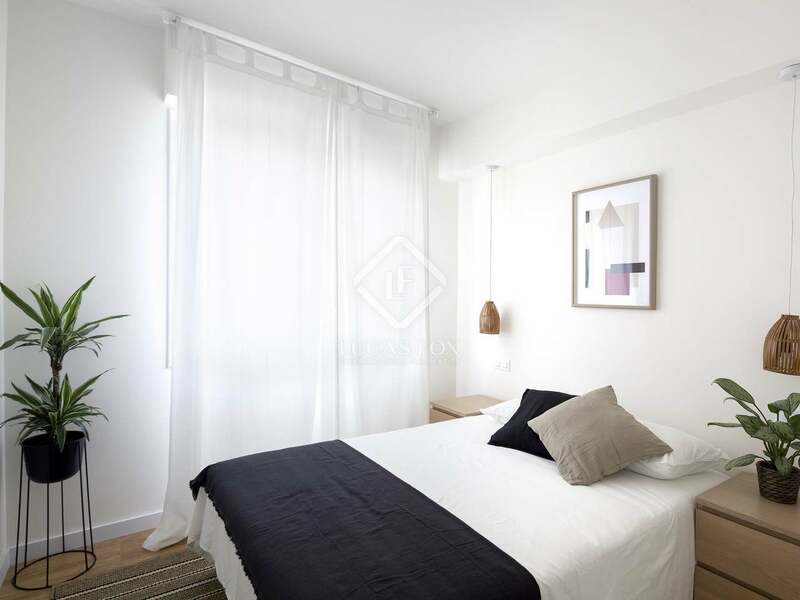 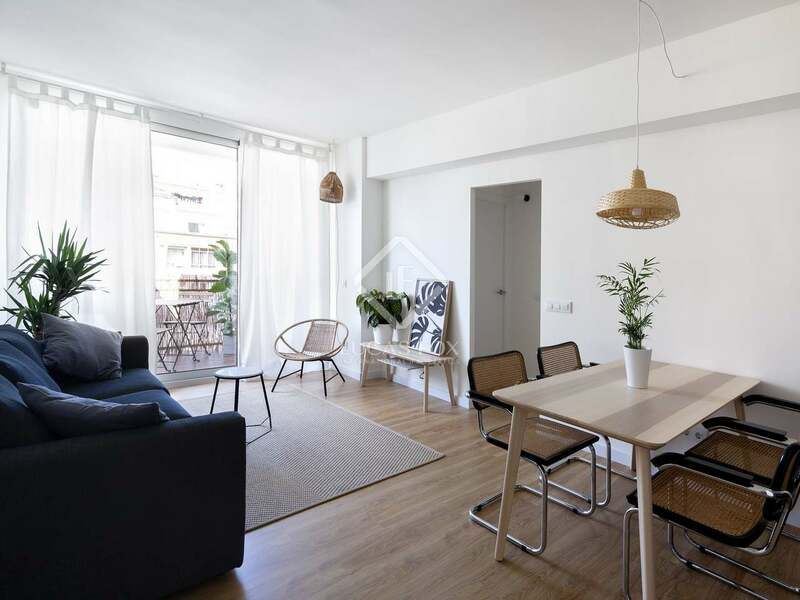 Contact us to visit this beautiful apartment for sale in Poblenou. 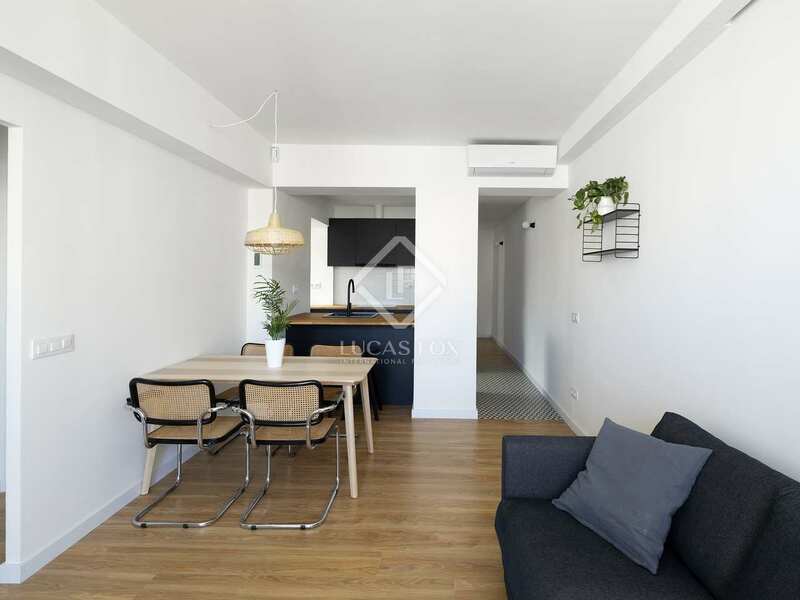 This property enjoys a privileged location on Carrer d'Aragó, next to the Encants metro station and the Plaça de Glòries. 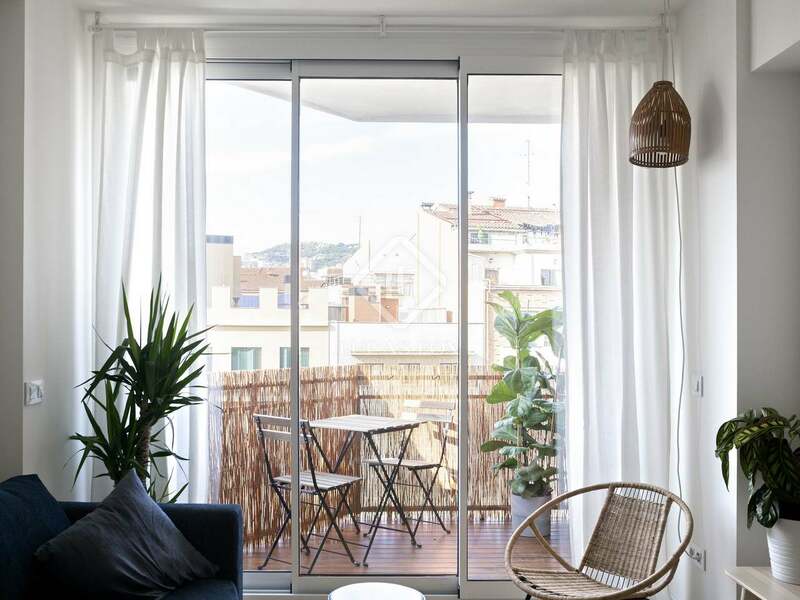 Poblenou is one of the most fashionable and up-and-coming neighbourhoods in Barcelona, ​​and is fast becoming the new technological and innovation centre of the city. 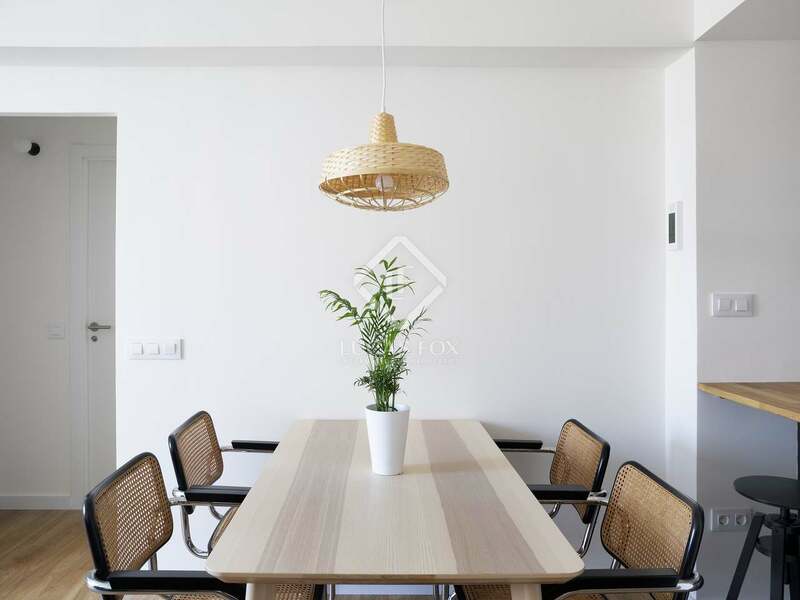 The area offers all services: supermarkets, banks, shops, restaurants and cafeterias to name a few. 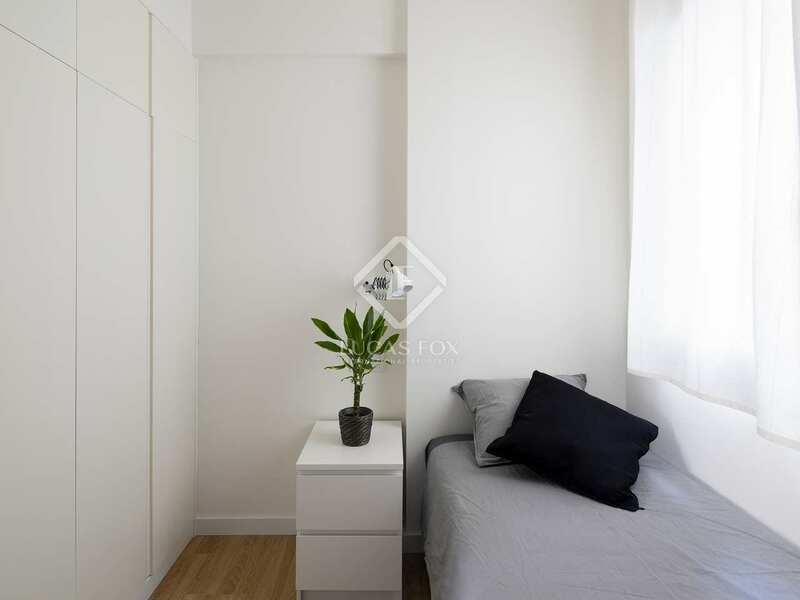 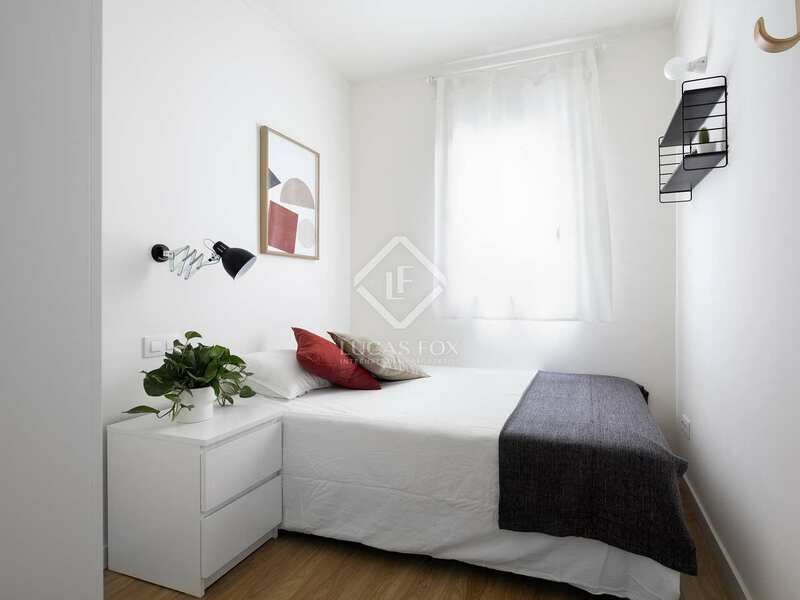 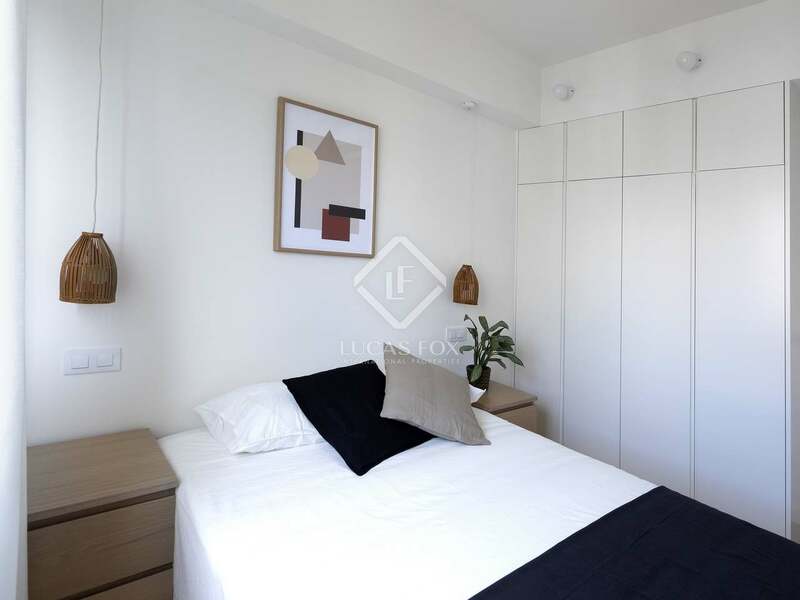 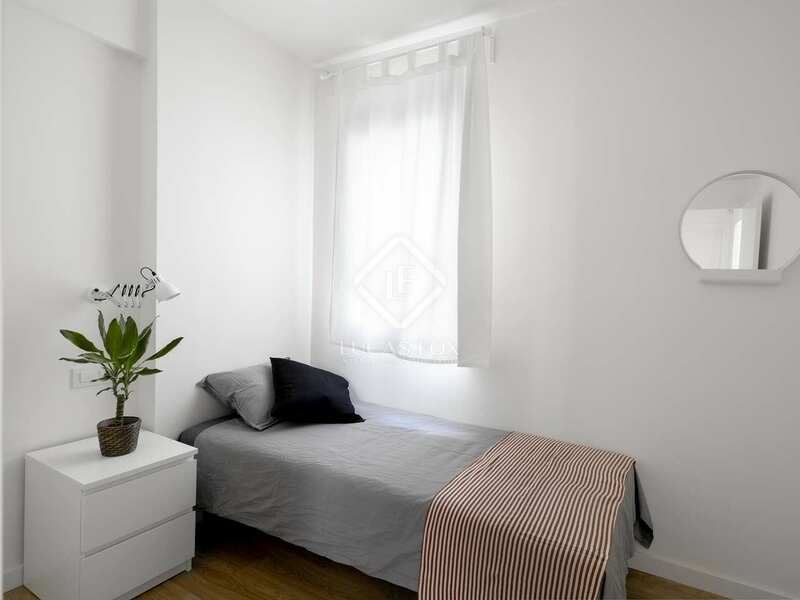 The apartment is located near the Glories shopping centre abnd an large park is being built in Plaça de les Glòries, a green oasis in the middle of the city.